How we helped Yousef M.A. 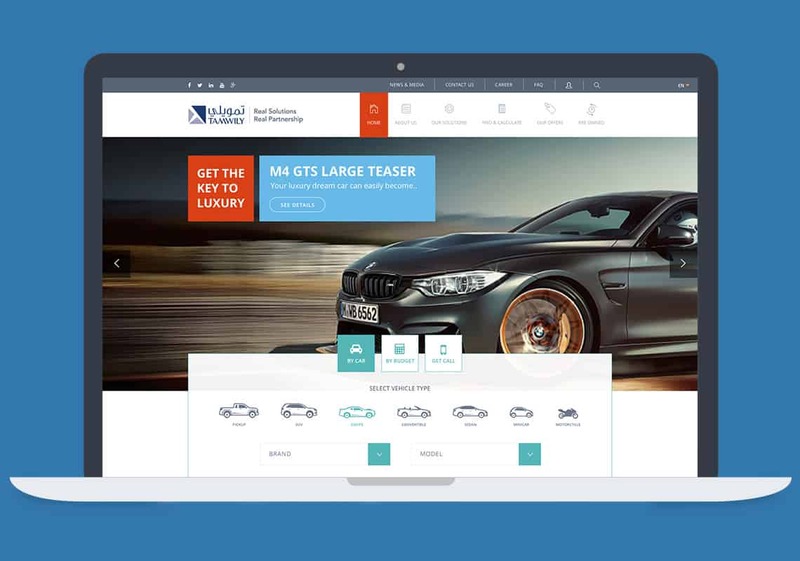 Naghi & Sons Group improve the results of lead generation efforts of their car dealership business using a modern, user-friendly website. Create a website capable of presenting the brand, its offer, and values while helping increase the number of leads generated. Because of the wide variety of offered products and their high price-point, it’s impossible to make a sale directly online. Additionally, different car brands & types make it hard to focus the messaging on just one particular car. 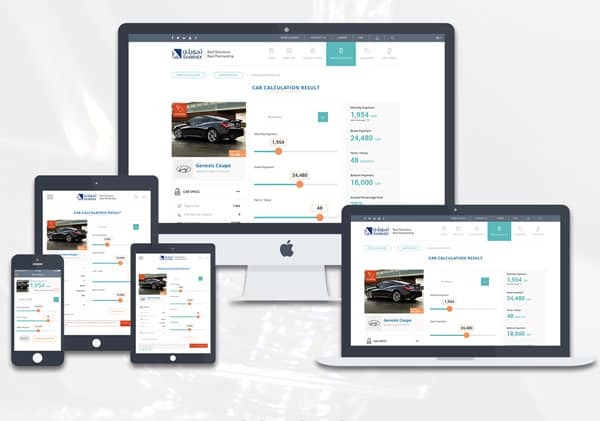 Responsive website featuring all car models, leasing options, as well as smart filters for convenient browsing and a budget calculator which users can customize based on their financial situation and car selected. 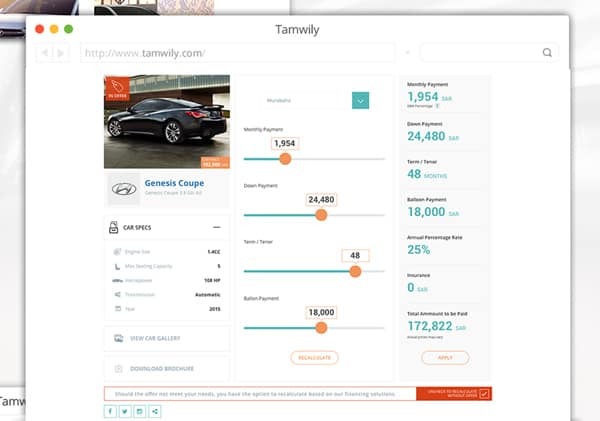 Focus on delivering as many information about the products as possible in an easy-to-navigate way (filters) while introducing micro commitments (budget calculator) to encourage the user to choose Tamwily as his car dealer. Customers can browse cars using two filtering methods: CAR and BUDGET. The first one allows them to choose vehicle type, brand, and a particular model. The second one filters the cars based on the visitor’s monthly budget and expected monthly repayment. A smart budget calculator allows users to plan the repayment before they even contact the dealership. By choosing different plan lengths, they can better adjust the leasing terms to their household budget. Additionally, the page features more detailed information about their chosen car. Visitors and customers can register to view their financial history and enjoy easy access to all their contract details. The website is optimized to work smoothly on all mobile and desktop devices and has been extensively tested on different browsers during the implementation phase. 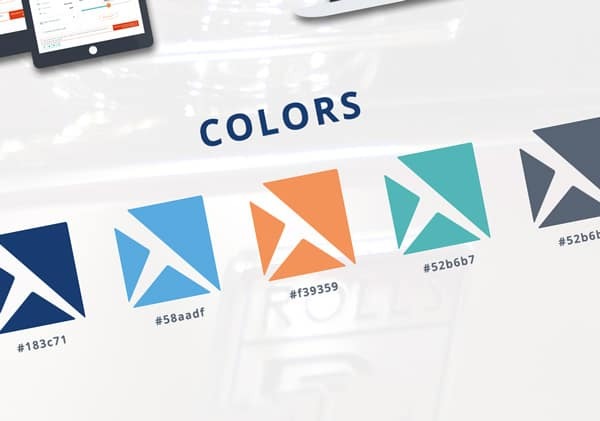 To keep the site clean, we chose to go with a minimalistic color palette. Additionally, we added one active color to help increase the CTR on interactive elements. 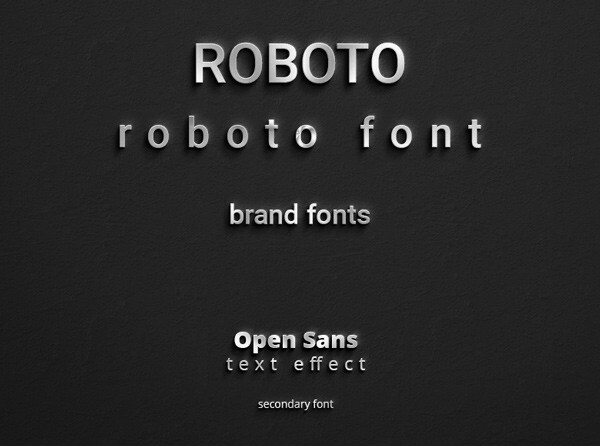 We chose Roboto and Open Sans – two sans-serif fonts which work great on websites where trust and professionalism are a must. The website has become an effective touch point between the company’s potential customers and the brand. Thanks to the calculator, the number of leads, as well as the number of closed deals have increased. 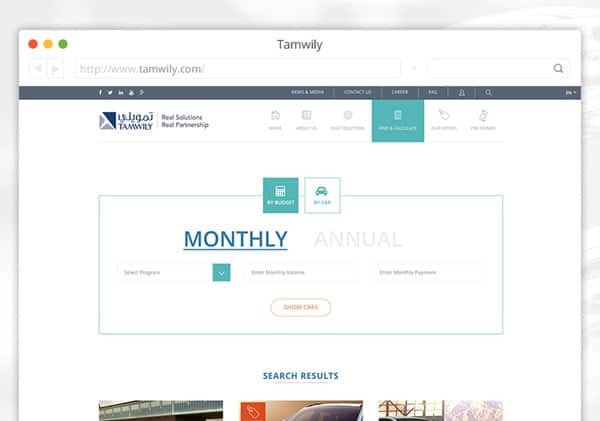 Design-wise, the site presents a consistent image of Tamwily’s brand. It’s fast, SEO-optimized, and works great on all mobile and desktop devices. Yousef M.A. Naghi & Sons Group is one of the oldest and largest family run business in Saudi Arabia. They are actively operating in a variety of industries – from FMCG to insurance and risk management, food industry, and the automotive industry. 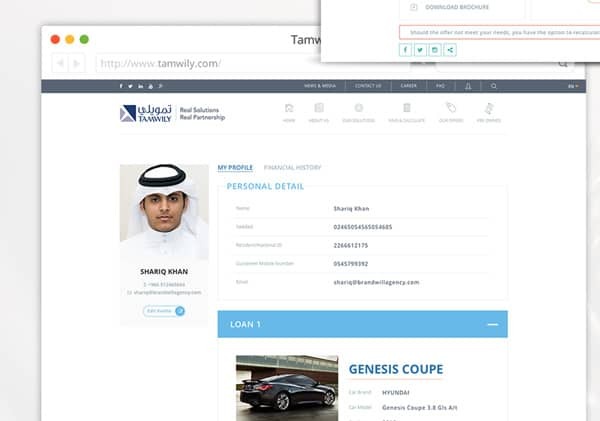 The Tamwily brand is a subsidiary of the group and provides its customers with Sharia-compliant car leasing services. Today, it’s the leading car leasing company in the country, and an official distributor of Land Rover, BMW, Rolls Royce, Jaguar, Mini Cooper & Hyundai in the Kingdom. Would you like a similar website created for your brand?